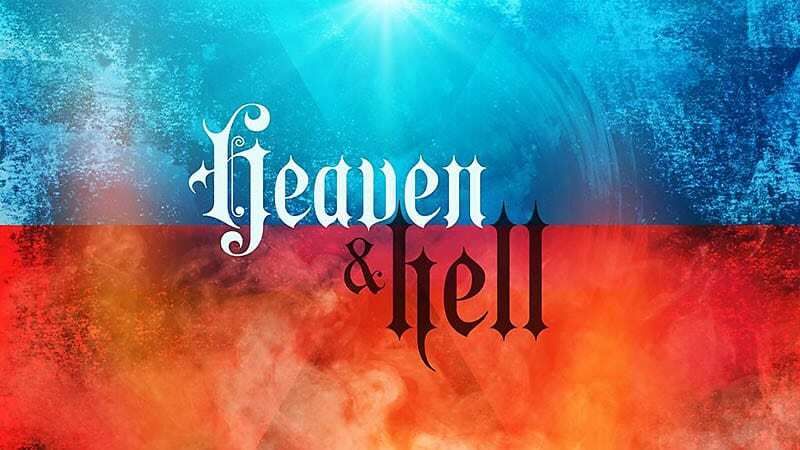 Are “Heaven” and “Hell” Real Places? Never does the Bible use the word “heaven” as either the current habitat or future permanent destination of any human being. In Scripture, it is used only to refer to (a) the earth’s atmosphere (e.g., “the birds of heaven”), (b) the stellar universe (e.g., “the stars of heaven”) and (c) the realm beyond our known universe where God and Christ are headquartered (e.g., “the heaven of heavens”). When the Lord Jesus snatches all Christians off the earth one day, we will accompany him to the heaven of heavens, where we will be for seven years before returning with him to the earth to help him administer his kingdom here. The word “hell” is a very erroneous translation of the Greek word hades. In the Hebrew Scriptures (Old Testament), man is always an integrated being who is either alive or dead. The dead were said to be in sheol, which can literally be rendered as “gravedom.” In contrast, the Greeks believed that man is a bi-partite being, and that death simply released one’s immortal “soul” from its fleshly prison, allowing it to wing its way to Mt. Olympus, or wherever the best party was being held. I Googled “Heaven” to see if there is a city by that name, and couldn’t find one. But if someone suggests that you “Go to Hell,” you will be able to oblige them because there is a place called Hell, Michigan—and it does freeze over! For further study see these articles: “What Does The Bible Say About Hell?” “The Dead Are Dead;” “Will All Be Saved?” “The Joy of Hope;” “Will Christians really live In heaven forever?” and “Where Are the Dead?” See also our book: “Is There Death After Life?” Chapters 1 and 7. A great audio teach is: “Mortified By Death.” There are videos as well: “Fire Is Not a Preservative;” “Words Have MEANINGS, Part 2 of 2;” and “Don’t All Good People Go To Heaven?” In our foundational class: “One Day With The Creator,” in Segment 9 and 27, we discuss heaven.